As of yesterday, it looks like the Van Dyke v Retzlaff battle has begun with Van Dyke striking the first blow. After granting Jason Van Dyke a restraining order against Tom Retzlaff, the court received several letters from Retzlaff bitching about the restraining order. None of the letters were passed on to the judge since they were ex parte communications in that Retzlaff, as a party in the suit, was attempting to talk to the judge without the knowledge of the opposing party. That's not allowed. 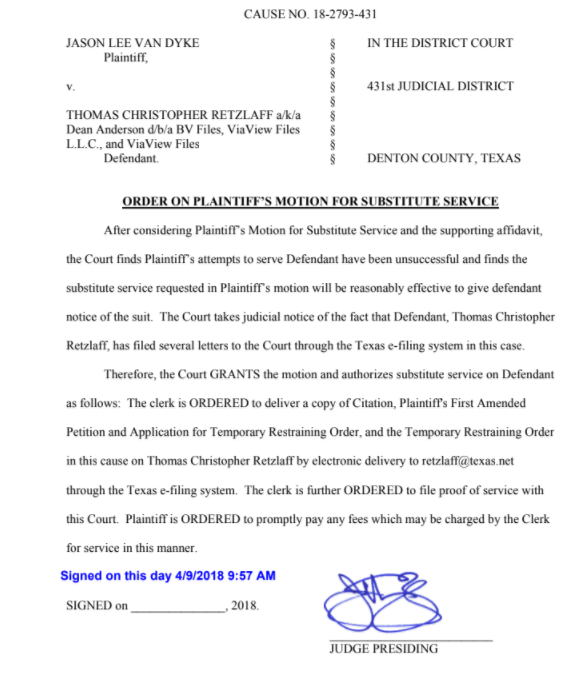 Those letters backfired even further on Retzlaff since the judge determined they show Retzlaff is able to send and receive email to the court. So the judge gave permission for Van Dyke to serve Retzlaff with the lawsuit and restraining order using email. Retzlaff, for all his bluster and posturing in his letters, has been in hiding in Arizona for several years so serving him in person is almost impossible. The judge gave the okay on this yesterday so by now Retzlaff has been served via email. That court order is below. You may want to update this with some of the orders entered in the case today. 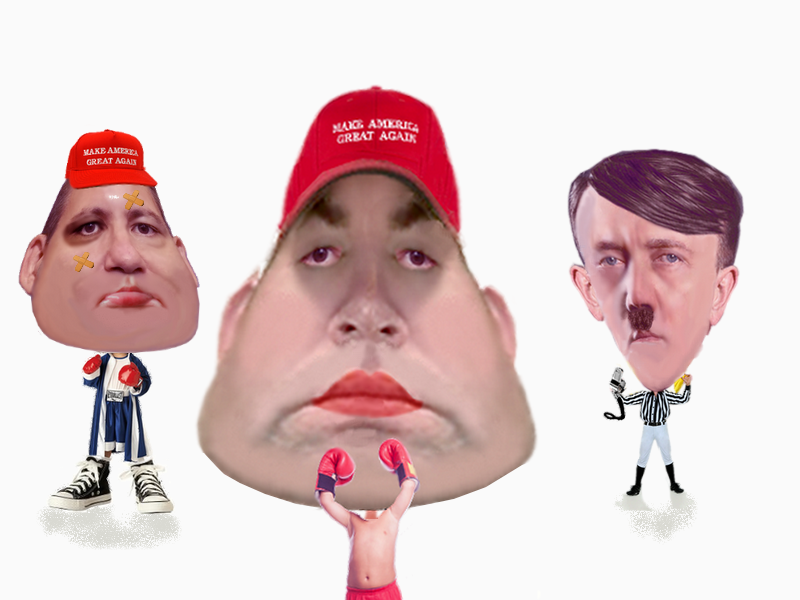 JLVD is kicking the crap out of TR in federal court.